Female artists have stood in the shadows of their male colleagues for much of art history, and that disparity is still evident in many art museums today. A survey of 18 prominent institutions in the United States found that close to 90 percent of artists whose work is on view are both male and white. The North Carolina Museum of Art says they hope to correct that imbalance. At the arts celebration “A Series of Fortunate Events,” actors, visual artists, and musicians with disabilities showcase their creations and their talent. But the event goes beyond representing art, it is also a platform for artists to advocate for their own place in the North Carolina arts economy. The Community Music School of Raleigh has been offering affordable music lessons to low-income students for 23 years. This year may be its last unless donors come through to support the school and its mission to offer affordable music education. Emil Kang bucked expectations when he decided to pursue a career in the arts. He was the first in his family born in the United States after his parents emigrated from Korea, and he was expected to capitalize on the new opportunity by studying medicine. Wonder Woman is an iconic superhero best known for her battle skills and formidable weapons. The Amazonian warrior princess is often seen with her Lasso of Truth, invisible airplane and indestructible bracelets. She first appeared in comic books in 1941, but her image and character has since soared far beyond the page. Triangle-based theater group Summer Sisters used the pop-culture icon as inspiration for a new experimental theater piece called “Behind the Boots.” It explores the connections between heroism, feminism, truth, justice, and their own everyday lives. UNC-Chapel Hill is planning a performing arts lab, studio and theater on Franklin Street. Chancellor Carol Folt says the University has committed $4 million in non-state funding to build the $5 million facility. Folt says "The Core@Carolina Square" will allow university departments and the public better access to works in progress. But she says it won't compete with the existing performance spaces on campus. "We bring symphony orchestras and ballet companies. They don't come and practice in front of our town's children," Folt says. 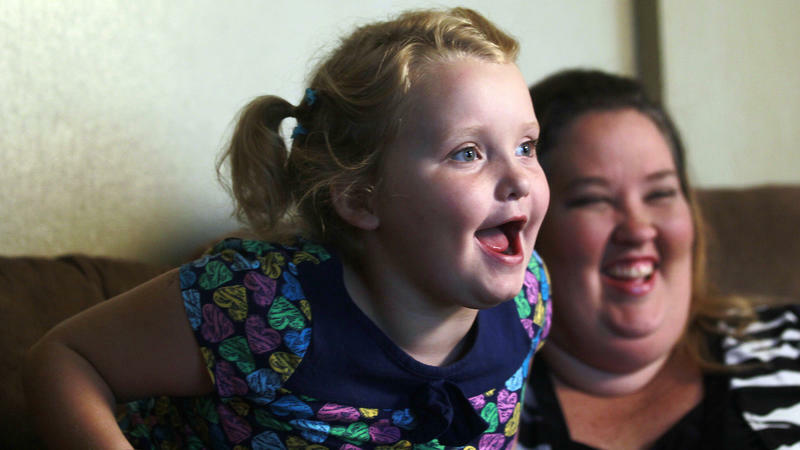 It's easy to slip into gloating mode, now that cable channel TLC has finally canceled a show so many of us critics have hated for so long: Here Comes Honey Boo Boo. The Levine Museum of the New South recently unveiled a historic exhibit that spotlights the LGBTQ community of Charlotte. South African choreographer Gregory Maqoma grew up hearing the story of his ancestor, a 19th century Xhosa warrior. The man is remembered for his long fight to preserve cultural traditions and resist colonial rule. In the dance piece, "Exit/Exist," Maqoma explores the connections between his past and present while live musicians sing in the Xhosa language. Carrie Knowles, the 2014 Piedmont Laureate, is tasked with encouraging North Carolina residents to come together to celebrate the art of writing. There's a potter in North Carolina who can trace his roots by the generations of family members who've spun clay. Sid Luck's great-great-grandfather, William Henry Luck, began turning pots in Seagrove just after the Civil War. This week, five generations later, Sid Luck was awarded a North Carolina Heritage Award from the NC Arts Council for his work as a potter. For National Poetry Month, we talked with four different North Carolina poets about their work and their relationship with the art form. Organization: The Word Project, using poetry workshops to help with personal and community healing. While Anne Frank’s story is familiar to many, the production currently on stage at Raleigh’s Burning Coal Theatre is a bit different. When Michele Tracy Berger was a young girl, her mother gave her a gift: a walk-in closet. Looking back, she thinks of this space as her first portal to creativity. Creativity served as a survival tool for her during a difficult childhood involving abuse and poverty. Today, she's a creativity coach and professor of women's studies at the University of North Carolina at Chapel Hill. Why Did It Take 7 Years For SNL To Hire A Black, Female Cast Member? The recent decision by Saturday Night Live to hire an African American woman underscores the lack of diversity on the show and in the wider media landscape. In fact, Sasheer Zamata will be only the fourth African American woman to ever be a cast member on the show. She will be the first since Maya Rudolph left in 2007. Zamata makes her debut January 18. Why do minorities still get short shrift in the entertainment industry? What Is The Relationship Between Art And Advertising? Who says bigger is always better? It seems that the smallest things hold our world together. If you unscrewed the back of your watch, you would see a whole world of washers and gears and screws that held together your concept of time. The Carrack recently opened the exhibit "TINY: Attention, Exploded." The exhibit works to explore how we relate to the small. Many photographers in this day and age seek to capture as many worlds as they can in their lifetime. Paul Kwilecki did all of this while staying in Decatur County, Georgia for over four decades. Host Frank Stasio talks to Katie Savage, Joey Bozik and Megan Gress about their organization Advocates for Carolina. A new exhibit at UNC Chapel Hill aims to challenge the way people think about the word "disability." It's a collection of photos and narratives written by students called "This Able Life." UNC junior Katie Savage founded the campus group, Advocates for Carolina. She says she hopes the exhibit will help dissolve the stigma often associated with disability and transform the word into something celebratory that empowers and inspires. PNC is investing a million dollars in North Carolina to spur the economy and boost preschool education. Asma Khalid: The Pittsburgh-based bank is collaborating with Wake County Public Schools, Carolina Ballet and the North Carolina Museum of Art to introduce low-income students to the arts. Wake County Superintendent Tony Tata welcomes the PNC initiative. A new report is detailing the economic impact of arts in North Carolina. In November of 2008 the Durham Performing Arts Center opened its doors to Broadway performances, and big name musical acts. By virtually all accounts D-PAC has been a success, welcoming more visitors and earning more money than many had expected. Now Greensboro is considering following suit. Residents, politicians and leaders of the arts community are discussing G-PAC. Supporters say the proposed 50 million dollar facility would boost the local economy and make the city a better place to live. But there are many questions: such as location, parking and would voters approve it? A conference opening today at Duke explores the ways in which the digital is transforming the humanities. It's called the CHAT Festival, short for Collaborations: Humanities, Art and Technology. Festival director Victoria Szabo says it will include exhibits in which art and technology come together in ways that challenge traditional distinctions. The town of Cary has opened a new cultural arts center. The official dedication for the Cary Arts Center isn't until August 13th. But it's already open and bustling with activity. The Brussels Chamber Orchestra is performing there this week. And kids of all ages are painting and sculpting in larger classrooms. Joy Ennis is the Festival Coordinator for the town. She says the new center gives the Cary Cultural Arts Program much more class space than it had previously.